There’s simply no shortage of great places to visit in Europe. You can visit again and again and still find new places to explore. Even still, some parts of the continent, such as the Balkans go mostly unexplored. The Balkans have certainly grown in popularity in the last twenty years, yet their tourist destinations are still up-and-coming. The mix of new classics and underrated gems is what makes the Balkans one of the most exciting parts of Europe. For those seeking to experience the best of the Balkans, there’s a few ways you can approach this region. 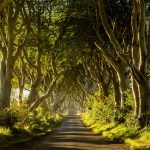 One way is explore the region bit by bit, one short trip or city break at a time. The other way, is to go big and actually spend one month in the Balkans, getting a taste of each country and finding the parts you want to come back to and see in greater depth. To do this though you’re going to need our Balkans itinerary that shows you exactly what to do in the Balkans in one month to make this journey possible and leave you excited for more. On a big trip like this, it’s important to choose a time of year which will give you the best chance to see and do everything you want. That means being very deliberate in when you choose to visit the region. The weather and climate in the Balkans can vary quite a bit from one place to the next. So working out the best time to visit the Balkans is going to mean finding a time that works for everywhere on this itinerary. For your first trip to the Balkans, there’s a good chance you’ll want to come when the weather’s warm. As it’s in the south of Europe, summer in the Balkans ranges from pleasant along the coast to hot and stuffy further inland. Parts of the region, like Croatia and Montenegro, can get extremely busy at this time of year. Peak season in the Balkans isn’t quite as bad as western Europe, but as it grows in popularity, expect tourist levels to increase. Unfortunately, winter isn’t a great alternative to summer. Parts of the region, like Sarajevo and Sofia, can be freezing cold, similar to areas further north in Europe. This means you’ll find sightseeing challenging at this time of year. 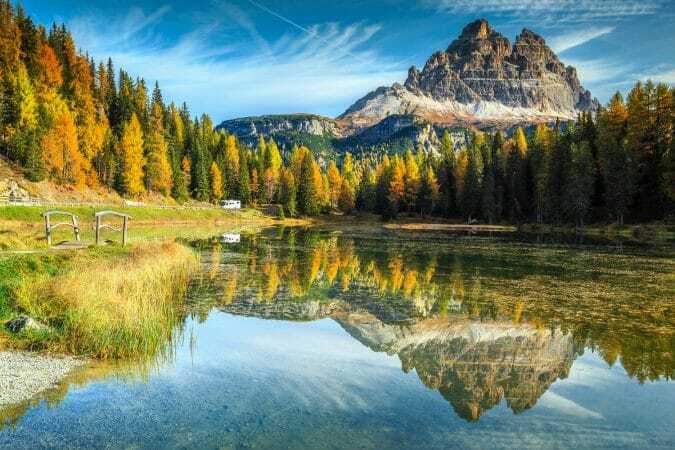 There’s also the issue of availability, as much of tourism in the Balkans is still seasonal at this stage, you may encounter difficulties when looking to do activities like boat trips and exploring the Plitvice Lakes as things wind down in the winter. If you’re looking for a quieter alternative to summer, then the shoulder season is definitely the way to go. The crowds quickly drop off on either side of summer. April through June, and late September to October, offer the perfect balance of weather and liveliness. When visiting the Balkans you have a number of different options available to you for getting around. Compared to western Europe, there’s less transport infrastructure in certain parts of the Balkans, but generally you’ll find that it’s still not too challenging to find your way around the region. We’ll later go through the individual transport options for each leg of this itinerary, but here is a general overview of each transport option in the Balkans. 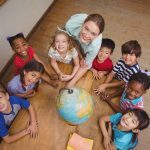 Keep in mind, that as this itinerary takes you through a number of countries, you’ll need to check the individual immigration requirements for each country. None of the destinations included here are currently part of the Schengen Zone and as such you’ll need to go through border patrol with your passport at each border crossing. When it comes to maximizing your independence to travel about, driving yourself in a car is always the best way to go. Having a rental car means you have total freedom to decide where to go and when, meaning you can tailor your journey specifically to meet your needs. 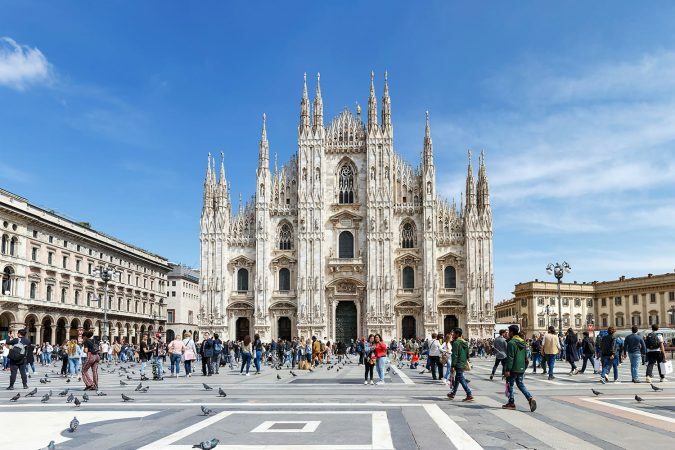 Since you’ll be driving through many countries, be sure to inform your rental car company and get any necessary car vignettes for highways in those countries or you risk getting considerable fines. For the best car rental prices check out RentalCars.com. 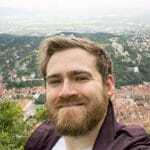 Travelers looking to save a bit of money and get around as simply as possible will want to look at bus networks in the Balkans. This is the major form of public transport for both locals and tourists in many of the region’s countries. Traveling by bus can be very cheap in countries like Macedonia or Bulgaria while in other countries is it roughly the same as in western Europe. On major routes buses are typically large coaches but for smaller, less common destinations often mini-buses run the route instead. When making a border crossing by bus, either the driver will collect the passports and leave you in the vehicle, or you will get out and line up individually. Some countries and routes like Bulgaria take seat allocations quite seriously, with others happy for you to sit wherever. At the end of the day, it’s best to ask or simply follow what everyone else is doing to avoid hassles. Each country in the Balkans is serviced by one or many different bus companies. Finding bus times is always best done in person, but the most consistently reliable online English resource for travel in the Balkans is Balkanviator. It’s quite common for individual bus websites to be in the local language. Train travel may be a favorite approach for those exploring western Europe, but it’s a little more irregular in the Balkans. Train routes here tend to be quite limited in where they go and vary wildly in terms of quality and punctuality. It’s actually fairly common for buses to be faster than trains in some places due to prolonged delays. The trade-off is that traveling by train can be quite affordable if you don’t mind the chance of delays. Although it may not be quite as useful as elsewhere in Europe, there are times when flying is an option. In the Balkans there aren’t many major airports outside of some of the capital cities, but you may find some routes that help you get around the region. Besides major budget airlines which operate throughout Europe such as Ryanair and Wizz Air, local airlines to consider include Air Serbia and Croatia Airlines. Even when factoring in things like paying for checked luggage, it is possible that some flights are an affordable alternative to long days of overland travel. For those travelers really looking to cut costs on their trip, there are a couple more options. The first one to consider is rideshare services like Blablacar, which help you find carpools with people traveling through the region. While an affordable alternative to public transport, it’s worth noting that you may find limited coverage in the Balkans, for example the only place Blablacar is available in the region is Croatia and Serbia. Another option that lets you save money and meet people as you journey through the region is to hitchhike. In the Balkans, hitchhiking is particularly common and people are more likely to pull over than in other part of Europe. However it’s also common for people to offer paid carpooling rides, so it’s best to establish whether they want money before you set off. Often it’s the people waiting around at, or pulling into, bus stops who will typically be looking for you to pay for a ride. Of course, using these options comes with their own challenges and risks, so avoid situations where you feel unsafe or uncomfortable. On your Balkans trip itinerary, you’re going to be staying in a lot of different towns and cities. To get the most out of it all, it’s important that you find accommodation that suits both your style, but also your budget. After all, a month’s worth of accommodation can really add up if you’re not careful. Just like throughout the rest of Europe, you’ll find all sorts of different types of accommodation when planning a trip to the Balkans. 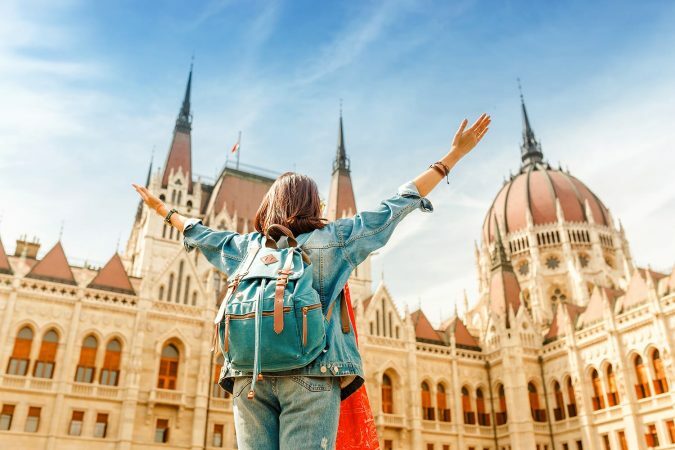 Budget travelers are in luck when it comes to backpacking the Balkans, as more often that not places here are cheaper than average European prices. Searching through a site like Hostelworld, you’ll find every sort of hostel imaginable. If the hostel scene isn’t your thing, other wallet-friendly accommodations include guesthouses, inns, and B&Bs. 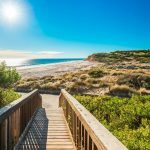 For these kinds of places, it’s best to use Booking.com, as they have great coverage of these accommodation types, along with hotels. Finally, Airbnb is another great way to book accommodation in the Balkans. Whether you’re just after a bed or a whole apartment to yourself, Airbnb helps connect you with locals and gives you a home away from home. To take you through the Balkans for the first time, we’ve created an itinerary that lets you see a little from most of the region’s countries. Even with a month exploring the region, you won’t be able to see everything, but you’ll certainly be able to experience the best places to visit in the Balkans this way. 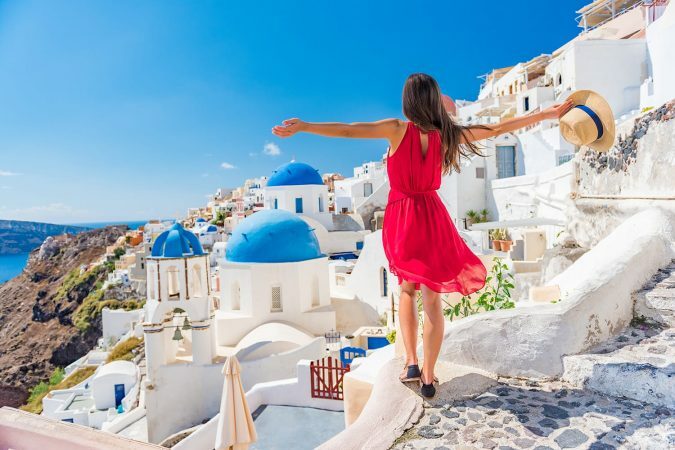 This itinerary takes you through a number of countries, namely: Croatia, Bosnia and Herzegovina, Montenegro, Albania, Republic of Macedonia, Bulgaria, and Serbia. 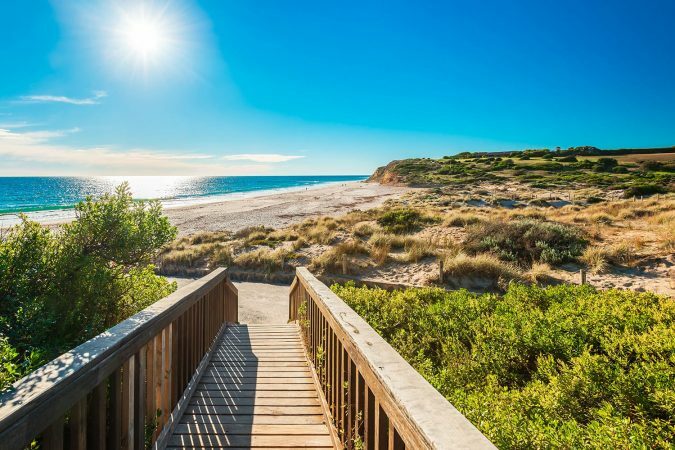 You don’t necessarily have to follow this itinerary every step of the way. You may want to visit places not mentioned here or skip something to save time. 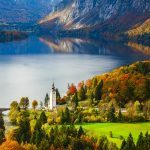 Feel free to use this Balkans travel itinerary as a template and personalize your trip however you prefer. However, before we get to our Balkans travel guide we just wanted to remind you to purchase travel insurance. You never know what will happen and trust us, you do not want to get stuck with thousands of dollars in medical bills. As a wise man once said, “If you can’t afford travel insurance, you can’t afford to travel.” So don’t leave home without it. We recommend World Nomads. With that very important point covered, how about we start talking about the very best things to do in the Balkans, shall we? 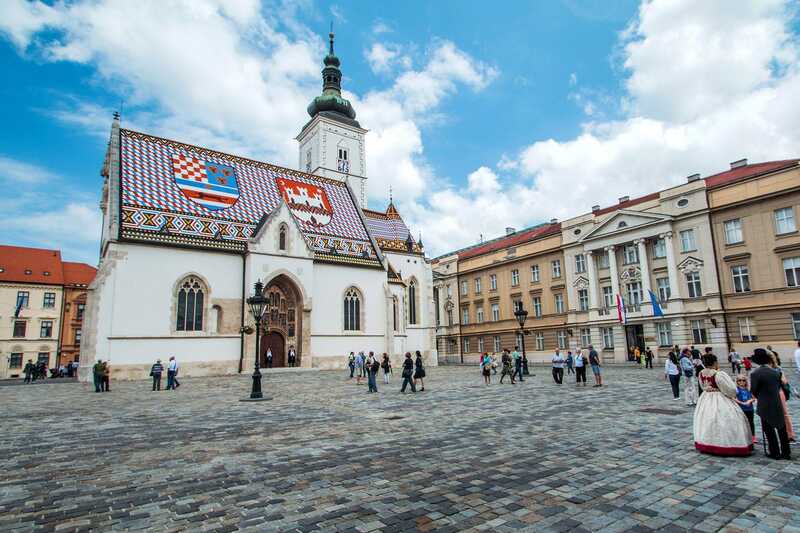 The Croatian capital, Zagreb is a city with one foot in the past and the other firmly in the present. Travelers will want to start their visit in the lower half of the city, taking in bustling Ban Jelačić Square before walking up towards Zagreb’s Old Town. Here you can admire the immense Zagreb Cathedral, people watch as you sit in cafes along Tkalčićeva Street, and pass through the historic Stone Gate towards the very heart of the city. After seeing the iconic tiled roof of St. Mark’s Church, take in some sweeping city views from Lotrščak Tower or the terrace below. Next, head back down past the lively Dolac Market towards the modern city center with its many elegant baroque buildings like the Croatian National Theatre. Getting there: The city of Zagreb has its own airport, the largest in Croatia, with flight connections to many other major European cities and several in the Middle East as well. Coming from further away, you’ll need to transit through one of the major European hubs. 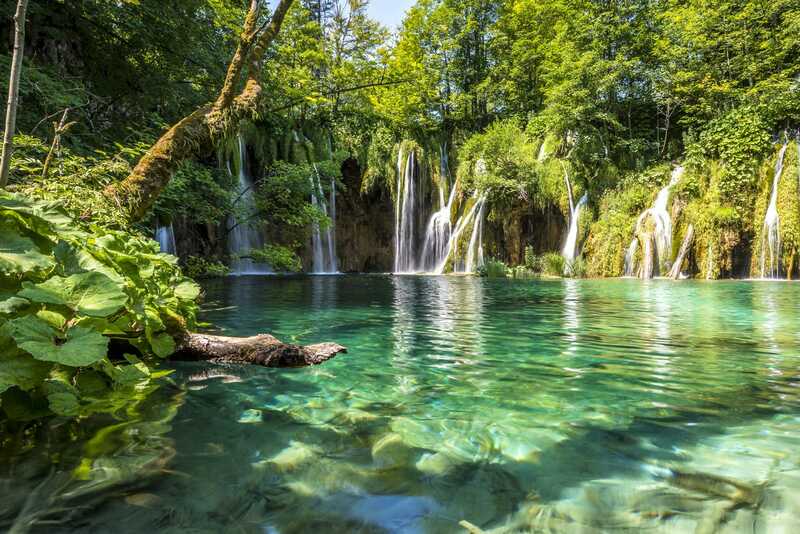 Easily one of Croatia’s most remarkable destinations, the Plitvice Lakes are a sight you’re not going to want to miss. Whether you choose to stop here on the way from Zagreb to Split or simply make a day trip from either, you won’t regret it. This national park and UNESCO World Heritage Site in central Croatia is home to an awe-inspiring series of 16 lakes that pour from one to the next down a series of waterfalls. Visiting Plitvice Lakes, you can walk along boardwalks that weave along the lakes or hike in the hills for fantastic views down into the canyon. There’s even a boat ride which crosses from the Lower to the Upper Lakes. Getting there: There are around five daily buses that run from Zagreb to Plitvice Lakes taking up to 2 hours 30 minutes. Croatia is famous for its wonderful coastline along with the cities which sit along it. Start in Split by venturing straight to Diocletian’s Palace, an ancient Roman palace that takes up much of Split’s Old Town. From here duck down into the moody underground market or climb your way to views from the top of the Saint Domnius Bell Tower. 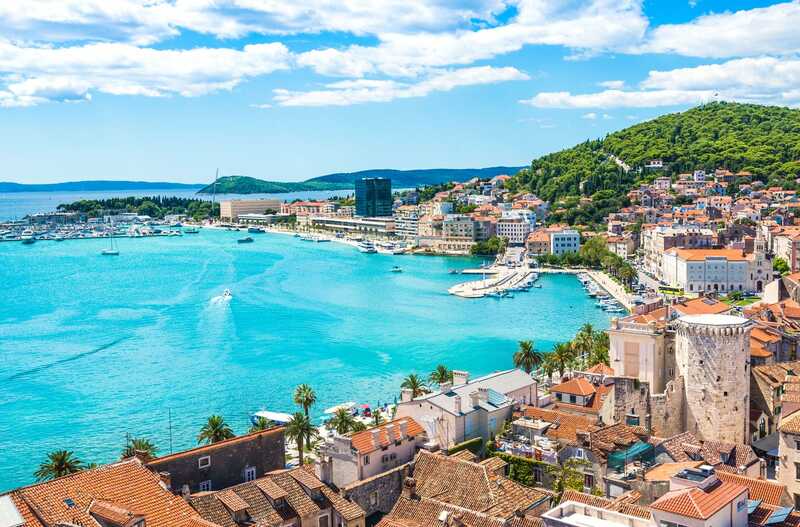 After a stroll along the beautiful waterfront promenade watching yachts sail away, choose between a nice walk up to the viewpoint of Marjan Hill, or time at Bačvice Beach. 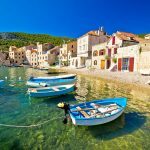 Allow plenty of time for day trips too, as Split has loads to choose from, like the popular five island tour that visits Hvar, Vis, and more. Alternatively, stay on the mainland and see scenic Trogir or the beautiful falls of Krka National Park. Getting there: The journey from Plitvice Lakes to Split by bus takes around 4 hours 30 minutes and only runs twice a day. 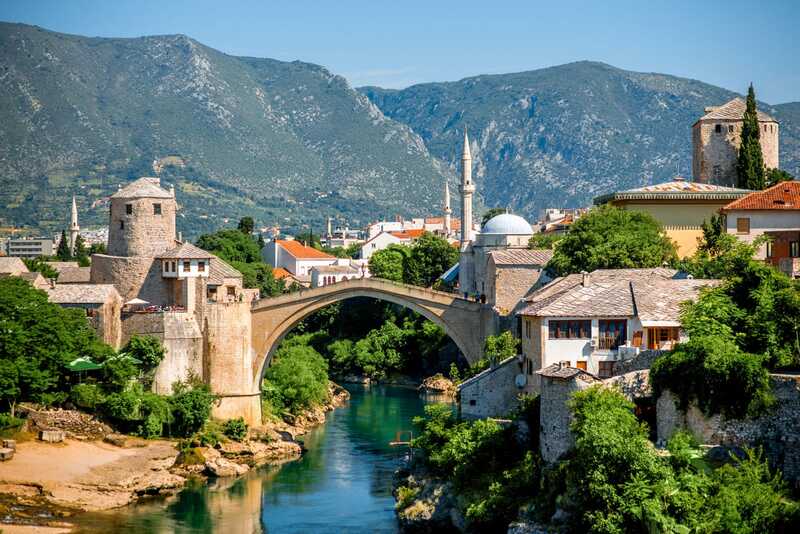 These days the first glimpse many travelers get of Bosnia and Herzegovina is through the southern city of Mostar. There’s a good reason why, since Mostar is home to a gorgeous Old Town positioned either side of the Neretva River valley. Start your visit by wandering through the Mostar Old Town, straight onto the city’s beloved Stari Most Bridge. From there either head down to the river below to watch the local tradition of young men jumping from the bridge, or walk through the city’s Bazaar over to the Koski Mehmed Pasha Mosque for more views. With more time in Mostar, consider seeing a little more of the surrounding countryside with a day trip to the photogenic monastery at Blagaj or go chasing waterfalls at Kravica. Getting there: Traveling from Split to Mostar takes between 3 hours 30 minutes and 4 hours 30 minutes, with 5 direct buses daily. 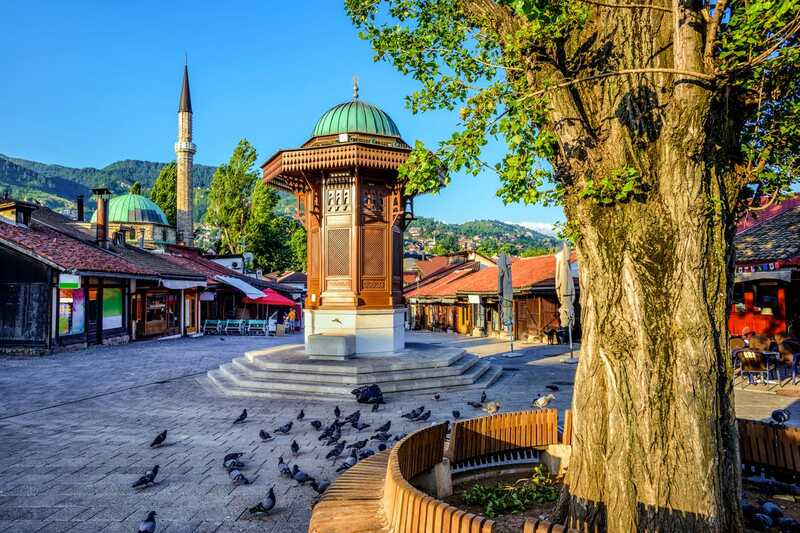 Once dubbed the “Jerusalem of the Balkans”, the capital city of Bosnia and Herzegovina, Sarajevo, is a fascinating cultural and historical place to visit. Beginning in the city’s Ottoman Old Town, take in landmarks like the Sarajevo Sebilj and the surrounding bazaar. Next it’s onto the Gazi Husrev-beg Mosque, the largest in the country. Be sure to stroll along the Miljacka River, as you’ll find not only some beautiful buildings but reminders of major world events. See scars from the Bosnian War with a walking tour of the city, or at the Sarajevo War Tunnel Museum. Finish it all with an evening visit to the Yellow Bastion to watch the sunset over the city. Getting there: Taking a little under two hours, there are two trains that run from Mostar to Sarajevo. Alternatively, there are hourly buses that complete the journey in around 2 hours 40 minutes. 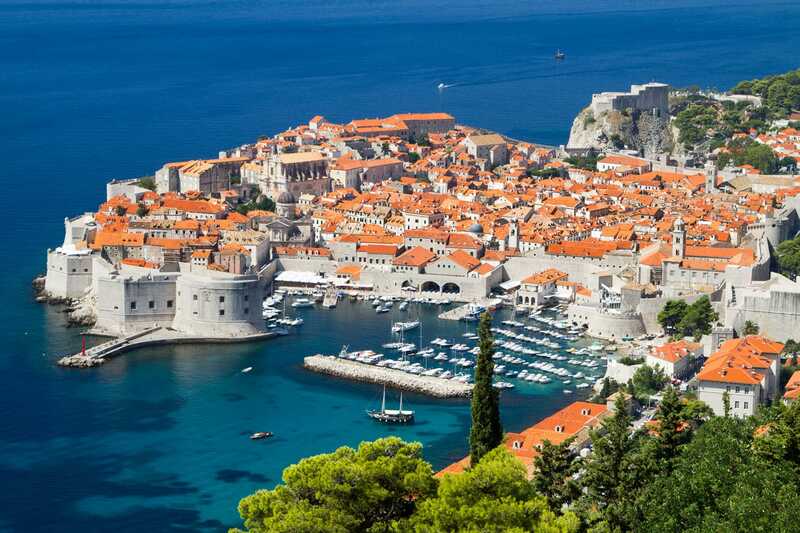 There’s little doubt that the most popular destination along the Balkan coast is the enchanting city of Dubrovnik. 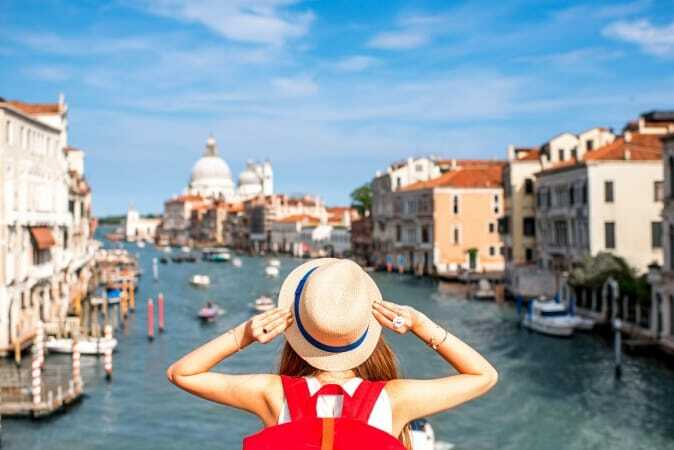 Start with a wander along the marble streets of its gorgeous Venetian style Old Town, along the way try to spot places which look familiar from Game of Thrones. The city has long been a filming location for the series. 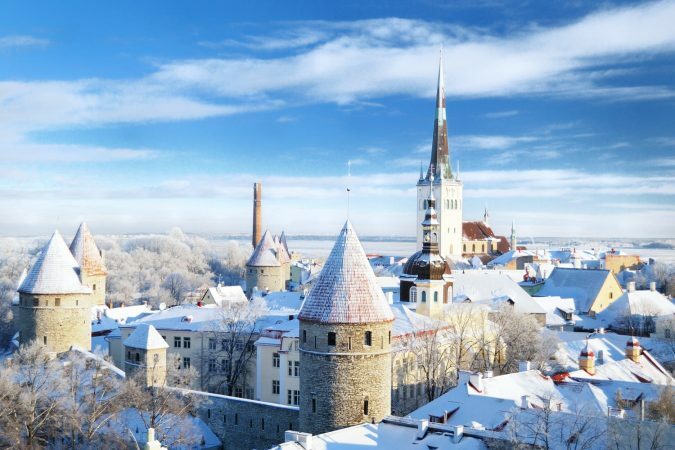 Don’t miss a walk along the city’s fortified walls to get a look across the city’s rooftops. Head down to the city’s quaint harbor, especially if you like the idea of taking a boat trip out to the nature-covered Lokrum Island. Other things to do outside the Old Town include taking the cable car to the top of Mount Srdj, and finding local beaches like Banje and Lapad. For a larger Croatia itinerary, make sure to take a look at our 10 day Croatia itinerary for more great ideas. Getting there: To reach Dubrovnik from Sarajevo, you can take one of two direct buses per day that take roughly 6 hours 30 minutes. Darling of the Montenegro coast, Kotor is a scenic and historic town that tourists quickly fall in love with. Wander through its walled medieval old town, and admire the Kotor Cathedral and other churches found down its quaint stone streets. Take a brief stroll along the town’s waterfront to look across the fjord-like Bay of Kotor. 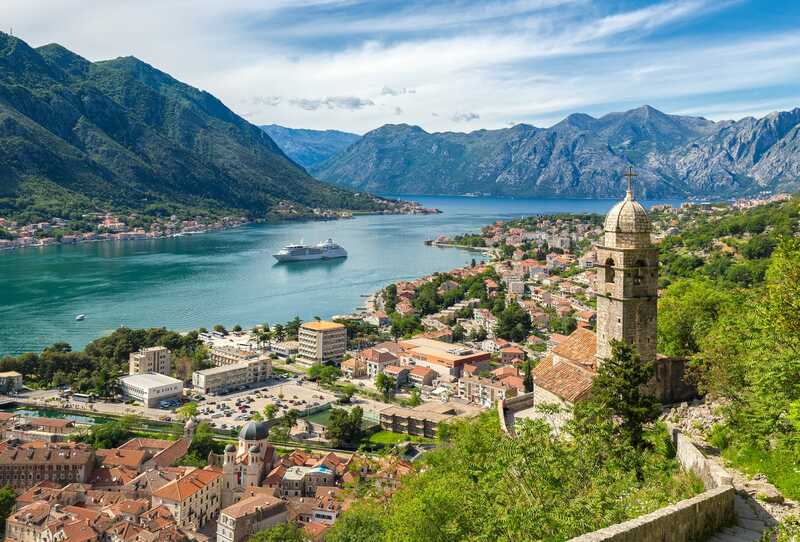 Better yet, hike up to the Kotor Fortress which watches over the town and witness the stunning panoramic views past the picture perfect Church of Our Lady of Remedy. Also consider heading out of Kotor so that you can visit other places along the bay or hike up nearby Mt Lovcen. 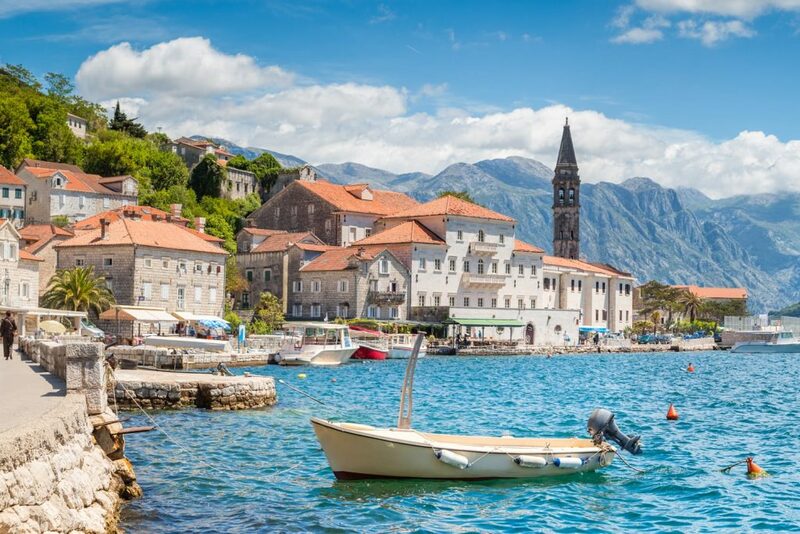 Close by, you’ll find the quaint village of Perast, and the island church of Our Lady of the Rocks, plus beaches and yacht heaven over in Tivat. Getting there: Taking a little over 2 hours, there are several buses per day that directly connect Dubrovnik with Kotor. 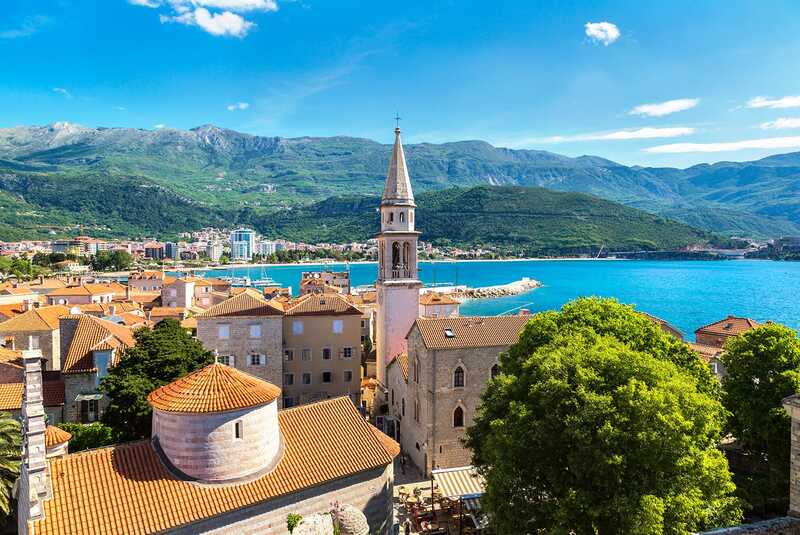 Blending beaches, partying, and history, the city of Budva is another great stop along the coast of Montenegro. Start with a visit to the city’s fortified Old Town where you’ll find plenty of churches, historic buildings, and great views. Next take your pick between two trips along the coast, either to the remains of Mogren Fortress or over to the idyllic island resort of Sveti Stefan. The rest of your time can be spent at one of the many beaches that line the coast of Budva, or even ones on Sveti Nikola island a short boat ride away. In the evening take your pick of beachfront seafood restaurants or lively nightclubs. Getting there: Only taking 30 to 45 minutes, there are multiple buses every day that run between Kotor and Budva. 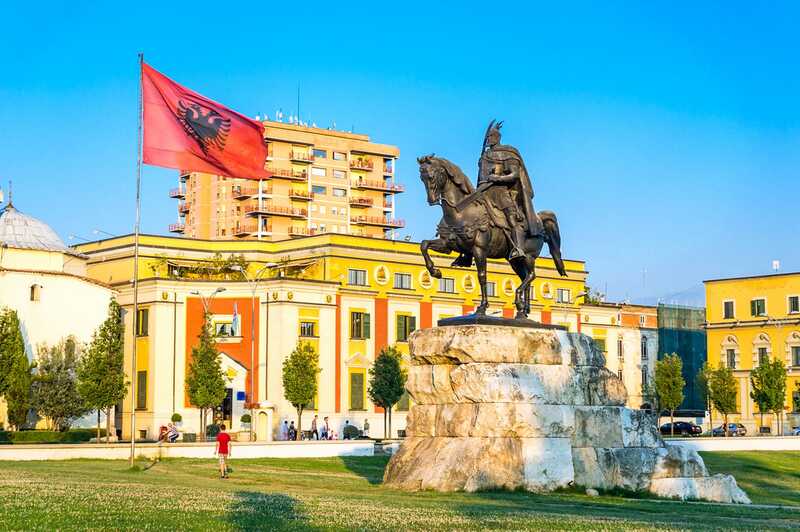 The capital city of Albania, Tirana offers visitors the perfect chance to get a taste of this Balkan country. Starting on the large Skanderbeg Square, you’re immediately in the middle of things. Buildings like Tirana City Hall, the Palace of Culture, and the city’s iconic Clock Tower are all found here. Also, don’t miss the beautiful Et’hem Bey Mosque which was built in the 1820s. Next, pay a visit to the curious architectural mix of buildings which line the Dëshmorët e Kombit Boulevard, a major pedestrian thoroughfare through the city. An unusual sight to behold is the abandoned remains of the Piramida, an expensive cultural center built during the country’s Communist period. For those looking to escape the city, consider heading up to Dajti Mountain National Park for a breath of fresh air and nature. Getting there: To get from Budva through to Tirana, there are several buses each day that take between 5 and 6 hours to make the trip. In the landlocked Republic of Macedonia, the nearest thing to the seaside is the beautiful lakeside city of Ohrid. But the city of Ohrid is so much more than just a beach getaway. Start with a stroll through its historic Bazaar lined with local marble, letting it take you down into the waterfront area. From there, work your way up into the city’s Old Town, stopping at the ancient Arena, the Holy Mary Perybleptos Church, and heading through the Upper Gate to Samuel’s Fortress. 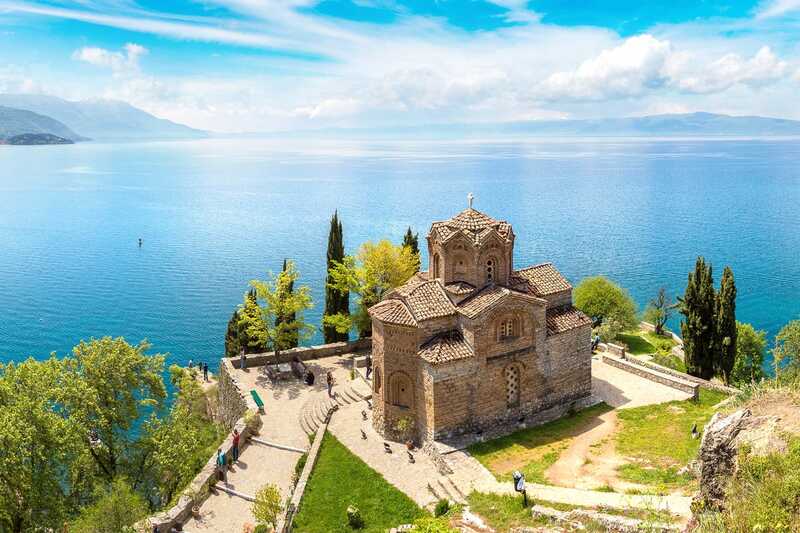 From the fortress walls you’ll get some great views over the city and Lake Ohrid, although the views from the Church of St. John at Kaneo may be even better. With more time in Ohrid, consider a day trip to the neighboring city of Struga, or a pleasant boat ride over to the Monastery of St Naum. Getting there: Traveling from Tirana to Ohrid, you’ll likely first need to take a bus to the city of Struga and then transfer to a bus to Ohrid. That journey can take between 3 hours 30 minutes and 4 hours 30 minutes. Alternatively, you may find private shuttles like Euro Linea useful as they make the journey in just 2 hours. 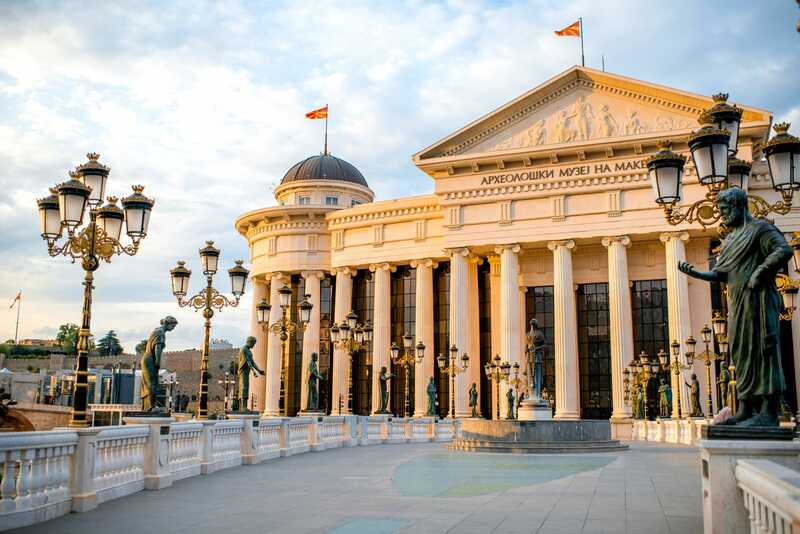 The capital city of the Republic of Macedonia, Skopje is quite the sight to behold. An unusual mix of historical sights and brand new glamour, the city can be an odd place to get your head around. Begin your visit below the giant fountain statue of Alexander The Great taking in the architecture nearby. A short walk through the city center will take you past the Porta Macedonia archway, the Mother Teresa Memorial House, and the unusually designed Saint Clement of Ohrid Church. It is then time to head for the revitalized riverfront area with its grand buildings around the ancient stone bridge, and head up through the city’s Bazaar to the Kale Fortress above. Outside the city, you can visit the nature at Matka Canyon or climb up Mt Vodno. Getting there: Taking usually a little over 3 hours, there are buses almost every hour that journey from Ohrid to Skopje. One of the less-talked about capital cities of Europe, you’ll find all sorts of things to do in the Bulgarian capital city of Sofia. With historical and cultural landmarks of every kind, Sofia is a curious mix of many elements. 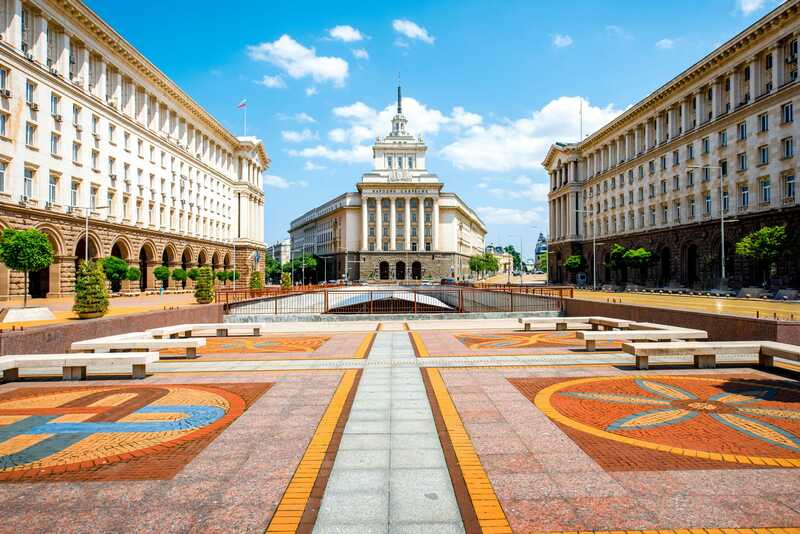 The best way to start sightseeing here is to set off from the National Palace of Culture and simply follow Vitosha Boulevard as it heads north. Along the way you’ll see plenty of Communist brutalist architecture, not to mention all sorts of religious buildings like the St. Kyriaki Cathedral Church and Banya Bashi Mosque. One of the oldest and least assuming buildings here is the medieval Church of St Petka of the Saddlers outside the Roman ruins of the Ancient Serdica Complex. Then it’s off to the pretty Ivan Vazov National Theatre and the gold, imposing Alexander Nevsky Cathedral, an icon of the city. Getting there: To get from Skopje to Sofia there are many daily bus connections which vary from 4 to 6 hours journeys. 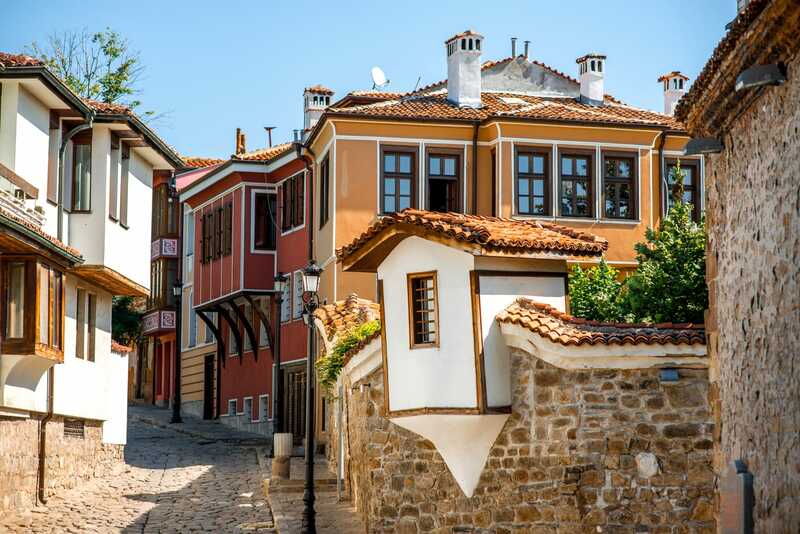 Found in southern Bulgaria, the city of Plovdiv may not be a household name but it makes for a great tourist destination. Your first steps here should be finding the Roman Stadium of Trimontium sunk beneath the pedestrian streets in the city center right by the large Dzhumaya Mosque. From there, you can wander through the cheerful streets of Kapana, a small neighborhood full of graffiti, cool cafes and restaurants, better known as “The Trap”. Then it’s over to the historic sights of the city’s Ottoman Old Town, be they the medieval walls and Hisar Kapia gate, or the Ottoman houses like the Hindliyan and Balabanov Houses. A visit to Plovdiv isn’t complete without seeing the Ancient Theater of Philippopolis up close, or for that matter, sitting among the ruins of Nebet Hill while you watch the sunset. Getting there: Between Sofia and Plovdiv you’ll find hourly buses leaving to make the 2 hour 20 minute journey. Alternatively, there are multiple direct trains that take around 2 hour 30 minutes to get to Plovdiv. Likely the best known of the capitals in this region, Belgrade is a vast city full of things for visitors to see and do. To start your time in the capital of Serbia, head for Republic Square and take a walk along the vibrant Kneza Mihaila pedestrian street. At the end you’ll find yourself at Kalemegdan Park, where Belgrade’s historic fortress is found. Moving about the park you’ll find some great views out over the Sava and Danube rivers, as well as some nice city views. Back in the modern city center, head past the Church of Saint Mark and the Nikola Tesla Museum to see the gargantuan Temple of St Sava. Belgrade is best known for its nightlife, including the floating clubs which sit on boats in the Sava river. Getting there: To get to Belgrade from Plovdiv, you’ll likely have to first take a bus journey back to the city of Sofia. From there you can choose between a 5 hour bus ride or a 1 hour flight. 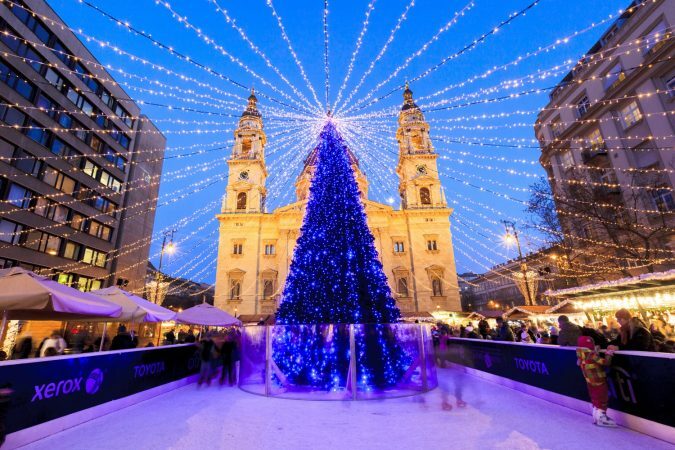 Your first stop will be Freedom Square, a big beautiful square in the center of the city, home to such landmarks as the City Hall and Name of Mary Church. From there, either head down and take up a spot at one of the cafes along the Zmaj Jovina pedestrian street to people watch or, slip down side alleys and venture into courtyards to find the city’s hidden corners. Other pretty landmarks here not to miss include the Bishop’s Palace and, a little further out, the Novi Sad Synagogue. Across the Danube River you’ll find the large Petrovaradin Fortress, home to the City Museum and the venue for the annual Exit Festival. Getting there: To journey from Belgrade to Novi Sad, you have the choice of either frequent 2 hour bus rides, or regular train trips that take around 2 hours 20 minutes. Getting back: To return to Zagreb and end your journey you can either take a combination of buses and trains to make the 8 hour journey back. Other airports you could consider flying out of include Belgrade and Budapest. You should now have a clear idea of what can be seen in the Balkans in one month. All that’s left is to start booking those tickets and making your first trip to the Balkans a reality.